If you are looking for a fun new entry to your mobile phone with a simple multiplayer action, then you have come to the right place. Guns of Boom is sort of the game that you are looking for. Although the game has the terrible name that I have ever read for a mobile game review but the gameplay and the storyline underneath that title is kind of spectacular. As a matter of fact, there is always free time for a fun and interactive shooting game in life and your mobile devices and that is why the Game Insight looks to hold this new thing for your Huawei, Samsung, Xiaomi Phones. Also check out Best Shooter Games for Android Smartphones. 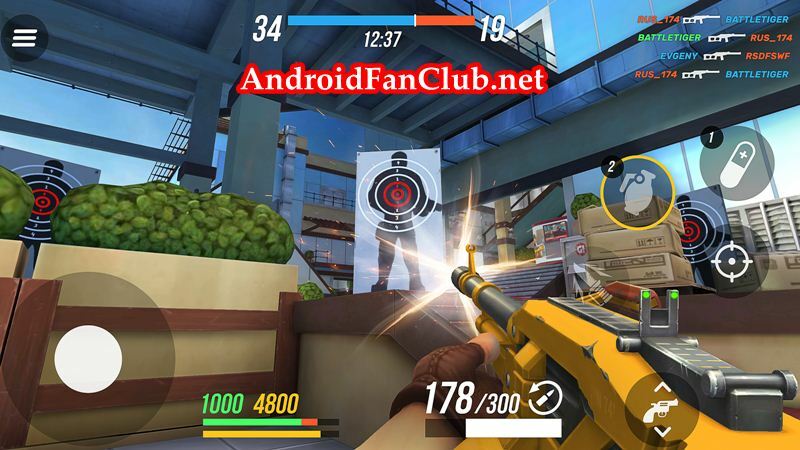 Guns of Boom is definitely a legitimate shooter game ever brought to the mobile phones as it features some interesting and streamlined shooting that simply feels better than any other shooting game on the Play Store. The game is free to play team-based FPS that incorporates the twist of some gorgeous cartoon graphics and the tweak of smooth game physics to take the gaming experience to the player to the next level. So if you are up for some Android action, head over to Play Store right now and get it downloaded. And if you want to know what the game really offers, read on! Let’s forget about its name and get immersed in it. Well, you don’t really have to do the hard work as the game offers some really amazing graphics coupled with the sound effects that will get you indulged deep inside the game. The stylish and smooth animation, stunning graphics and the cartoonish fizz will definitely help you to spend some hours playing this game, without even realizing it. So grab some drinks and get ready to be glued to the screen. For a fun to play game, controls matter a lot. No one needs to be busy with the complex controls that will don’t allow the player to get inside the game and that is what Guns of Boom fully understand and offers some really fun and easy controls that will let you pump your opponents full of lead from the get-go. Its auto-shooting feature actually makes it easy to play. When it comes to shooting games, all you have the gun that can determine your win. The Guns of Boom offers an array of gun options to choose from ranging from sniper rifles to shotguns, from machine guns to assault rifles. Each gun has its own ability and power to get your opponent down. All you need is to find a perfect one that fits your style and temperament. Not only this, the game also includes clans, rewards and ever leaderboards that can keep the action in the flow. Just roam around and look to shoot. Just don’t get fired! Get this game from the Play Store and get it downloaded right now.